Santa Ana, CALIF., July 22, 2017	(Newswire.com) - ​​Sullivan Solar Power has recently collaborated with Community Development Partners, a local organization based in Newport Beach, to install a solar photovoltaic system at ‘the Orchard.’ The 118,000-watt AC solar system will power the new residence for individuals experiencing chronic homelessness. In June of 2016, the Santa Ana City Council voted unanimously to direct $1.2 million and 71 project-based vouchers to the city's first large-scale permanent supportive housing project for chronically homeless individuals. Community Development Partners is focused on meeting the housing needs of local citizens through the thoughtful planning and development of life-enhancing affordable communities. Identifying the lack of permanent supportive housing for Orange County’s chronically homeless population, the organization sought to create a sustainable housing solution. Formerly a hotel, the Orchard consists of 58 studios, 14 one-bedroom units, as well as a commercial kitchen, community garden and on-site laundry. The Sullivan Solar Power system will be comprised of 401 solar panels and 12 inverters, which will be installed on the rooftop of the Orchard this fall. The system is expected to produce over 198,651 kWh each year, significantly reducing the facility’s energy costs for the long-term haul. This is equal to about 116 barrels of oil per year not consumed. The substantial financial savings will allow the Orchard to allocate resources for other purposes and maintain a sustainable footprint. The system will offset 83 percent of the Orchard’s usage, and save over $600,000 in electricity costs over 25 years. The resident services include on-site case management, nutrition education and basic cooking skills, community garden activities, personal financial management and job training. 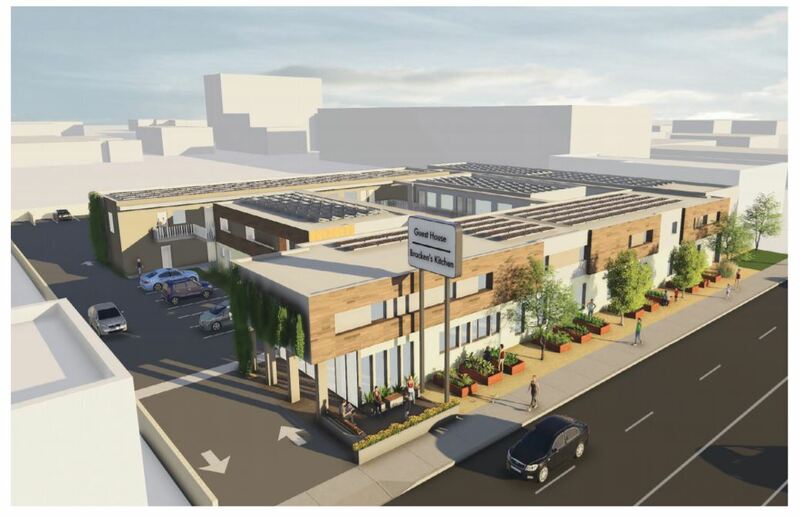 The Orchard will provide a solution to the growing homeless problem in Orange County and Santa Ana, where a lack of permanent supportive housing has led to more homelessness. Sullivan Solar Power was selected by Community Development Partners for the solar project following a rigorous selection process. This project helps Sullivan Solar Power advance their vision of fundamentally changing the way the world generates electricity. “We applaud Community Development Partners for providing a local solution to homelessness, while showing the region how solar can save businesses money, reduce fossil fuel consumption and improve local air quality," said Daniel Sullivan, founder and president of Sullivan Solar Power. For more information about solar, visit www.sullivansolarpower.com. To learn more about Community Development Partners and the Orchard visit www.communitydevpartners.com.